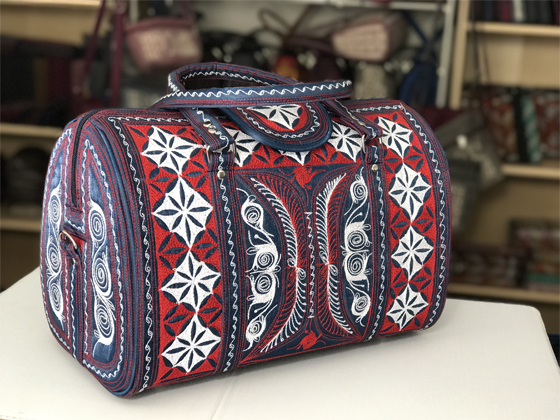 Laga handcrafted embroidered vegan Ria Plus Cross Body “cheerful” also comes in this “plus” size. Ria Plus features a nice wide strap that fits comfortably across your body. It is also fully adjustable so you can also wear it over the shoulder if you prefer. 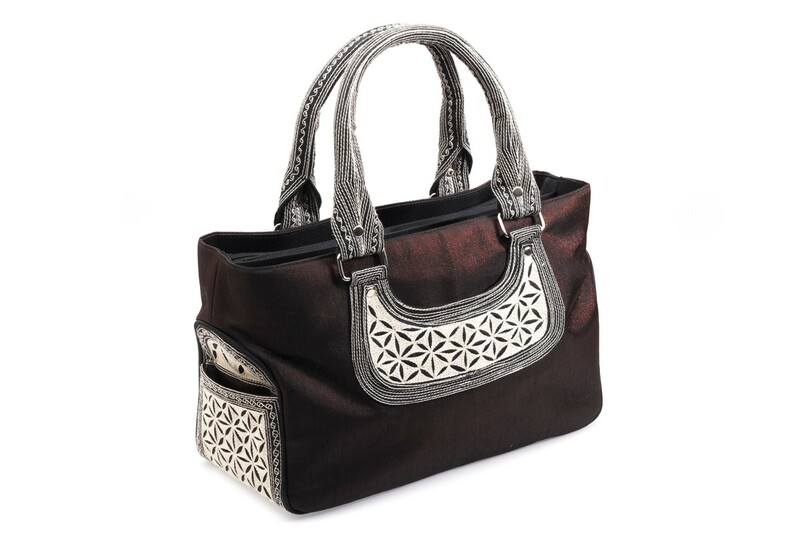 Ria Plus additionally features an embroidered double-zippered outside organizer. 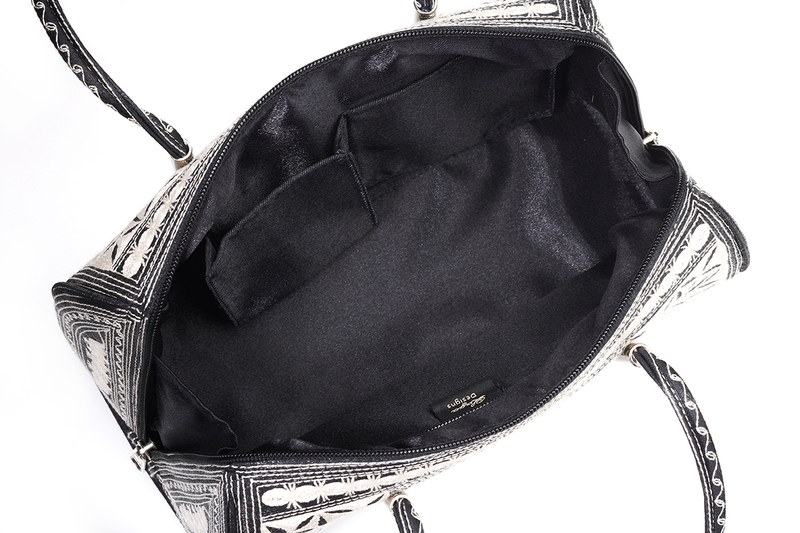 Use it in place of your wallet, it has plenty of slots to hold your paper money, credit cards and coins in its own zippered pouch. 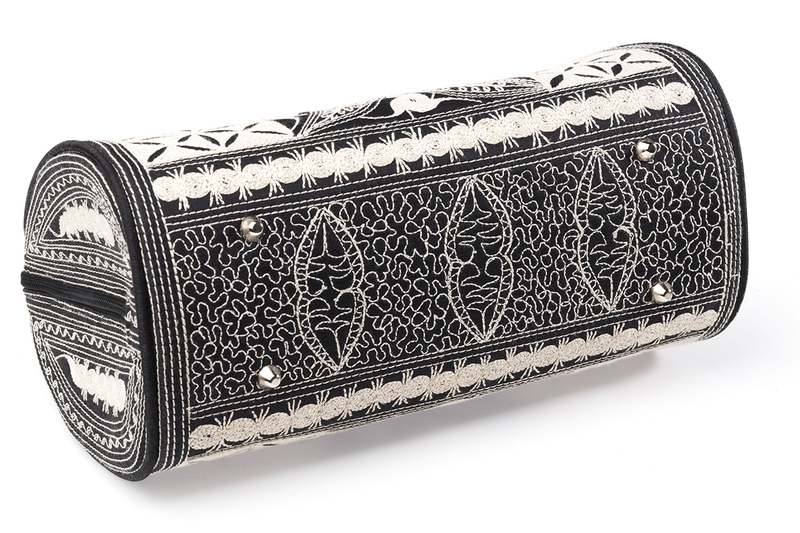 The bottom of Ria Plus is stitched with a delicate freehand looping pattern. Also features an open pocket on the back for easy access. 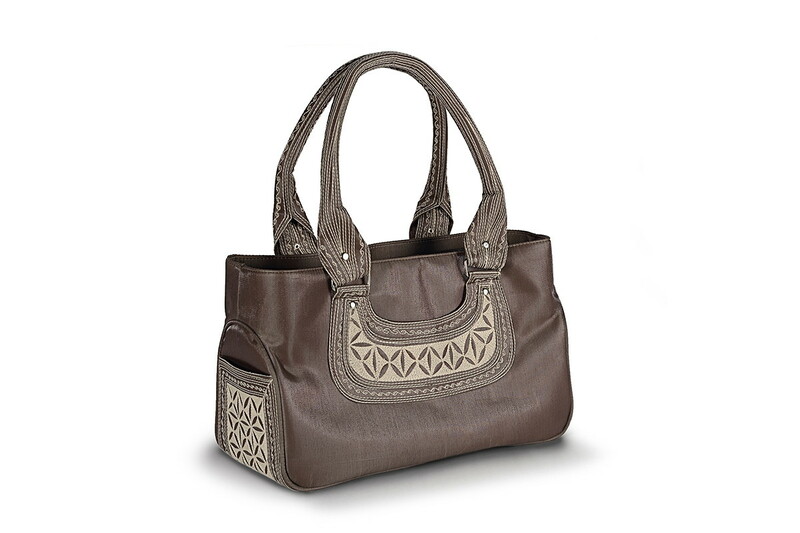 This is one of our most functional of Laga Handbags and very popular with Women of all ages! 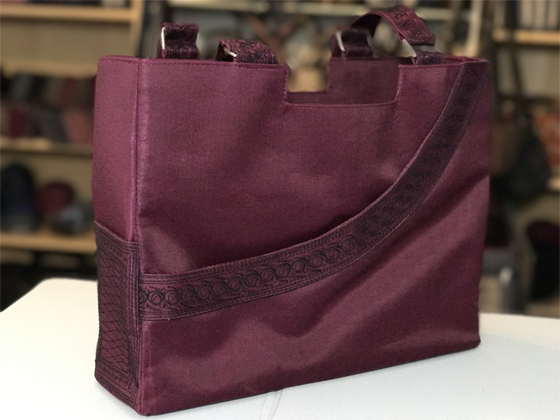 The best part about this quality bag is the zipped built in wallet! 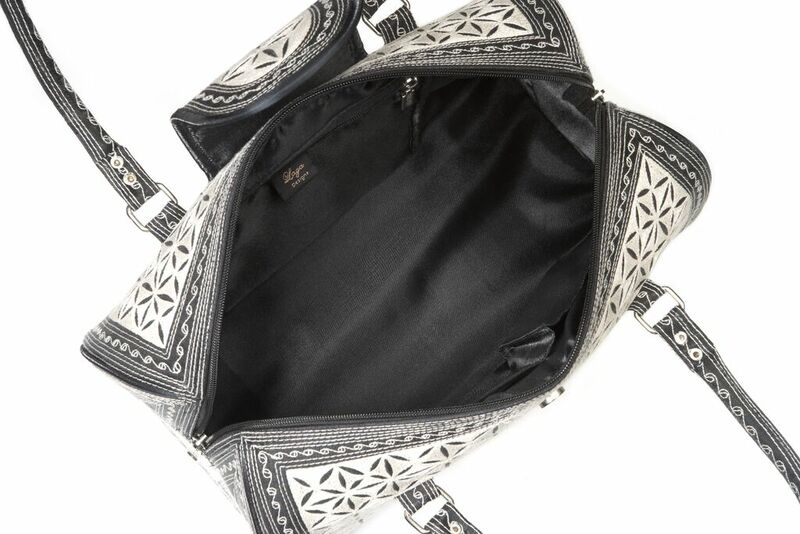 The inside has a lot of space for your cell phone and other essentials. 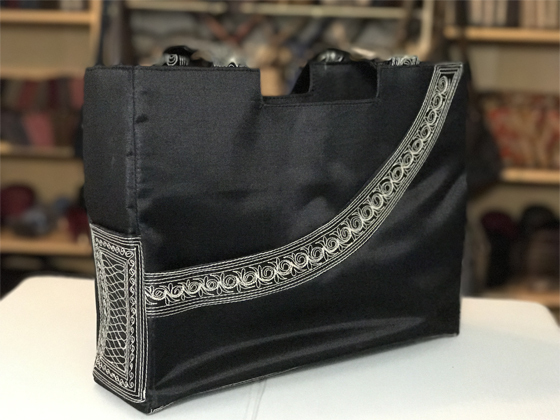 This is another bag I use for every day usage and it shows no sign of wear and tear.